Justin: Welcome to the Dental Marketing Guy Show. 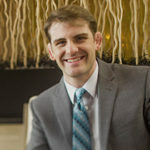 I’m Justin, the dental marketing guy and today we have a very well renowned web designer and marketing specialist. If you’re looking for a mediocre dental website, this guy is not your guy but if you’re looking for a dental website owner, here is the owner and founder of greatdentalwebsites.com. Of course, if you’re looking for a great dental website, he’s your man serving over 300 townies. He’s got an immaculate reputation. It’s such a huge honor to interview Jeff Gladnick. How are you? Jeff: Hey. Thank you Justin. Jeff: So, it’s just mining through old emails. I think it was about 2007, that I started. My dad wanted a new website. I was working in Silicon Valley for a startup. I didn’t have any time to go and find, you know, a company to give him. I told him I’d review the proposals and try to help him find something and the proposals were all really bad and really expensive and I decided to make time to help him. And I decided to just build a new website and then my uncles. There are seven dentists in my family, and they got wind of this deal. My dad is getting a free dental website and they wanted in. So I decided to make a software platform for making dental websites. I thought it would take last time, it would be more efficient that way so I was like “Alright, you guys are going to get more or less the same thing. You can change the text but we’re going to agree on a structure and then we’ll customize that later.” Everybody did and before I found the initial email, the first email I ever sent from the company earlier today and it was to host like hosting company and I was like “Yeah, I think the project will take one month.” I have this like nine years ago. So that was wrong but my dad and my uncle started referring to their friends and colleagues and it grew and grew and grew. And I think it was five and a half years ago, I quit my job and started doing this full-time. I’ve been doing it ever since and I think we have 400 or little over 400 customers now. Almost all of those have been townies. We love the downtown community. About 35-36 staff we’re up to now. So it’s been a great ride. Justin: That’s excellent man. What do you think drives your success? I mean, your dad obviously was a dentist, a lot of your uncles and so you got a start there but it seems like everyone would, anytime, there’s a thread downtown about the rate of their own websites. Man there’s just people coming out of the woodwork, “Hey, Jeff’s great. I’m a dentist, he did my website.” Would you say you’re just delivering exactly what you promised or maybe even over delivering is how exactly you grow your business? Jeff: Yeah, I mean, we’ve treated our customers very well when there’s been… We don’t have any contract so when they’re or if anytime there’s problems or you know, issues, we just kind of talk to dentists like people and just try to figure out what the cause of the problem was and just try to come to a conclusion that please everybody. So we’ve done people right, I guess, for over eight years. We’re doing this for a long time in nine years now. Join us for a long time, almost all of our clients have come from, you know, the forums where people are asking about us, so they’re kind of talking to the right audience who have already used us and love us. It’s amazing how successful you can be in business if you’re just not a jerk in your ethical. There’s a lot of people who especially… I see this a lot in dental town all the time and in other places, it’s just a new company that creates a shell and there they think that, they’re just to target dentists and they’ll be able to slice them for a bunch of money and then fly away and dentists see through it pretty quick. Dentists are smarter people than I think those guys give them credit for. I went to college, they went to grad school for equipment you know, 4 years of graduate school afterwards and they’re not idiots. So those kinds of strategies don’t work very well and we’ve just been at it for a while, people trust us. We don’t lie, we don’t screw people over. So that’s probably, I guess, what we have a lot of and then for the most part, we’ve been rather successful with our clients. So, I mean, there’s a couple of clients that I really specially think that I’m very proud of because they literally built their business on top of the marketing we did. They did not have a business when they came to us and they showed us the leads in their new patient services and we’re like 80-90% of it that makes me very proud. Justin: Yeah, that’s a great feeling when you can actually deliver good health to people and change people’s lives even though you know, you and I are not dentists ourselves but bringing people into the full where it’s really not a battle between dentists. It’s a battle between dentists and Mercedes-Benz, Las Vegas, you know, even Starbucks. I mean, people are spending their money to the people who are marketing to them. And wouldn’t it be great if people like you and I could get the public to see the value of dentistry… It’s really important what you’re doing. Jeff: Well, I mean, I guess, I have mixed feelings about that to a certain extent. We are competing with other dentists but you’re right, it’s not a zero-sum game because this is disposable. I mean, there’s some dental procedure that are absolutely urgent but a lot of the cosmetic cases are, you know, come out of a disposable income. It comes down to, do you want the trip to Vegas? Or the new car? Or whatever? And I mean, I don’t really feel like it’s my responsibility to tell people what they should want. It’s really up to them. We can help the dental practices explain the benefits to a patients a little more clearly. But yeah, some people are just not going to value a beautiful smile, other people will highly value. So we try our best to help our clients be properly positioned to get those patients but also, at the end of the day, people have priorities for their discretionary income. Justin: Yeah and we’re going to get into some tips and some ideas on how your company actually makes things. Some of the data that you have that drives marketing decisions but you know, there is this kind of a controversial topic that you mentioned earlier about no contracts. There’s been some discussion on dental town, I mean, you are obviously delivering on your promises. What would you say? What’s the philosophy behind not having written contracts? Jeff: Well, I mean, I can understand why some companies will do a contract so I don’t necessarily think contracts are evil. Although one of the reasons we consciously did not use contracts was to because a lot of our clients thought contracts for even dentists would just inherently back off as soon as they heard the word contracts and we never had contracts but I saw that behavior and talking to our, even our very early client, it is clear that contracts were bad. In the eyes of many many dentists especially in Delta, I mean, the dental town communities really influenced a lot of the decisions and business practices this company’s done because they have been customer-based. So a lot of the things that sound community wanted were the policies that we adopted and it was because there was such a strong sentiment by counties but it makes sense to have a contract if you’re basically financing a project for a client and, you know, let’s pretend the upfront cost for the company for ten thousand dollars and you’re going to spend, you know, a thousand dollars over the next 12 months so you have twenty two thousand dollars. Let’s just make it 12 so we can divide easier. So if twenty four thousand dollars expense a year, so you just sign a contract for two thousand dollars a month, there you go. Then you have a lower upfront cost for the client and everybody get paid and everybody’s happy. I guess the downside comes with and why a lot of dentists are hesitant to do that is there are so many companies that, you know, advertised the same services that we do that don’t really deliver as well. I’m not knocking on anybody in particular but I know what happens. And so the contracts become the huge risk where you committed to twenty four thousand dollars and it becomes obvious that after the first or second month that you’re never going to get that and this is all a lie. So I guess, I’ve always thought it was a little more fair to just charge, well, we have upfront costs so the client would pay up front and then when we deliver the website then. And they they just pay a little bit as we go. For me, as we incur costs that seems like the most fair model for everybody. The only downside to that is you can’t finance it although we’ve done that anyways for some clients in the past so you still can do it. I know that for companies, it’s more attractive to have contracts that helps with evaluations if you’re trying to sell the company which we don’t really care about. And I think that’s really the reasons those evaluations. I don’t really care. Justin: You know, I just wish you wouldn’t drop so many names and just really put people on blast like that. Jeff: I don’t like to do that, I mean, you can go to dental town and just type in scam in the marketing company or rip off and you’ll find them on your own from customers, from dentists who have actually experienced this scam. I’ve only heard about these things secondhand from our clients as they come to us, you know, from those companies or had a buddy that went to the company so, you know, i don’t feel comfortable making statements off here and say it anyway. Justin: Right. Yeah and okay, so, you know, it’s been great talking with you about, you know, kind of the history and what makes you different. Let’s give our viewers a little bit, like, so you’ve got a lot of data, you’ve got tons of websites and so you’re able to roll out challenges, you know, there was recently a thread, I pointed you to it and I was like Jeff, what do you think about live chat and so just ideas like that when you have the scale amongst like 400 customers. What kind of data could you provide, some quick tips maybe, like two or three quick tips as to like what makes a dental? What’s a good dental website? What’s a great dental website? And by enlarge. Jeff: I think, I have really well done that a website will have custom design or at least look custom. I think, you can get away with having a template design. If you can at least add some pictures but it should look like it was… It should look like you and your practice. When we do it, we have a custom design with pictures of the practice, something unique. We want to have custom copyrighting, we want the SEO to be a mixture of programmatic and manual search engine optimization so there’s a bunch of the things that are a software platform will do, like generating schema.org data which is this format that Google, Yahoo and Bing all agreed to classify local businesses and it’s real pain in the neck to go and coat it but we can do a lot of that programmatically but there’s a lot of manual labor with us, you know, somebody has to go in and update meta tags and descriptions and tweak the text a bit for every single page and to constantly refine that month over month. So those are the, I mean, those are the main topics or the main points that we look for. And it, of course, that should work on mobile devices and tablets. Justin: Right. Right. A responsive website and you know it’s funny, I don’t even know anyone who’s not offering responsive websites. Jeff: Yeah. I mean, for a longtime ago, when we switch our platform over to that. We had like a separate charge for it because all of our competitors offered separate mobile website and it’s just the easiest way to explain in but I think only one person didn’t take that in like, you know, three years that that was the thing. So we just dropped it. It’s just standard now. Justin: Yeah. Yeah. You know I’m huge on video. I think video is huge. I know talked a lot about it in general town and there’s a lot of discussion about what kind of videos are best. As far as mobile, just pick your brain here for a minute, you know, as far as mobile’s concerned, do you think a video is just as effective on mobile? More effective than desktop? Less effective? What’s your opinion on that? Jeff: I don’t know. If I really thought about it, I guess, I don’t have an informed opinion about mobile versus desktop although if personally, If I’m at my desktop and I understand, I’m not the target customer for most dentists and so I’m not a young mom but I tend to spend a little bit more time researching things when I’m on a desktop computer so I would think that I have more time to really watch a video on a desktop and my personal video viewing habits are mostly on like a desktop computer. Often to my desk and watch you know, documentary in home for an hour. Never done that on a mobile phone ever and I don’t commute on a train and all that. Just got a train in Denver that goes past my house so I may start doing that but I gave me most of the time when I’m on a mobile phone, walking somewhere at a stoplight, you know, randomly checking it in a meeting, it’s more, it’s much quicker interactions than what I’m doing on a desktop computer doing my work so I would guess that it would be more useful on desktop but I don’t know. Jeff? What do you think? Justin: Well, you know, here’s a video that I just shot yesterday. It’s going to be released in probably two or three weeks. I’m going to talk about new ad platform, you may have heard of this. Youtube is going to do six second ads, they’re called bumper ads at the beginning or the end and they’re not skippable so right now, you can skip ads on Youtube after five second for most of them. Justin: Yeah. And so they’re going to do six second ads that you can’t skip and the target audience google claims the reason why they’re doing this is because mobile…young mobile users and how they view Youtube videos. And if you have this 6-second ad at the beginning you can get your message in real quick and there’s actually some companies that are experimenting with it. It’s supposed to come out in like May or something like that. Jeff: I mean, having that kind of fits what I had in mind, you know, the people are watching clips and shorter stuff on video so you need shorter ads. I know, that like, you know, if I’m trying to cook dinner or something and you know my son needs attention and I’d be a little, I’m going to be a lazy parent, I’ll put, you know, garbage trucks. He loves garbage trucks on like my phone and there’s a couple of those videos that have like a 30 second ad, no thank you, I’m not waiting for that, go to the next one that has a skip ahead. So yeah, 6 second and that make sense. Jeff: I think they said that a little two or three times now. I’m a little confused at this point because I thought they said that like a year ago and then like six months ago and now you tell me three months ago. I know I heard it. I could’ve sworn I heard it at least twice from Google and so I don’t really get its significance. It’s good enough for me but I don’t really know what was going on over there. Justin: Yeah you know, it’s really hard to tell, I mean, they’re the ones giving us the data right? And so each client that you have is going to help, you know, their own, analytics, their own way of measuring who’s coming from and where and what they’re doing but yeah, speaking of mobile searches, I mean, so if you got, I’ve heard the figure with the greatest all heard, I’ve heard the figure, 65% of dental related searches or medical related searches are mobile so that may or may not be true. But let’s say 65% searches are because it seems like if you have a medical condition, at least emergencies, will be done from the phone at least, that’s how I would do it. And so basically, having the website that you have which is already great for desktop, how important do you think it is to have just as good a user experience on a mobile device? Jeff: It’s mostly just as important. I don’t think it’s we’re seeing 65% of traffic, it really varies market to market. Think the highest client we have like, 82% mobile but the lowest clients are like 11. So there’s a wide range. I think the average is like 40-45 somewhere in there. But yeah, I mean 40% of your clients, that’s still pretty significant so you have to have a great experience on mobile. I mean, it’s a little bit different but the key things are you know, you want it. You should be responsive. It should be the same site, that’s what Google wants. It makes maintenance way easier. You don’t want to maintain a separate mobile site. You want to have a click the call button everywhere, we have button for directions so someone’s driving around their car, they can quickly, you know, call you or hit the directions button at the top so they’re not going to crash into a tree and then the more dental work and you know there’s little bit of different testing you have to do for, you know, for how the information is presented on mobile. The easiest way to your dentist is to bring up your phone and get your phone out and bring up the website on your phone and see how it looks like and try to solve a couple problems and just think through the last couple of new patients that came in and when they come in for a visit. Well, if you landed here, how would you find in this line of information and figure out if they’re going to schedule an appointment and just kind of pretend that you’re the patient and go through that exercise. Justin: Excellent. Well, let’s wrap it up. Let’s talk about maybe three quick tips if you learned anything, if you found this entertaining. Hopefully, we’re able to educate you but at the end of the day, if we remember only three quick tips, tell us what those are Jeff. Jeff: I think you absolutely need to have a unique content on your site. So don’t, you know, don’t buy canned content for any other reason than stop gap. And that should be as short as possible, so you should be writing. I mean, you wouldn’t believe how many comments we get from customers who tell us that patients came in and they were surprised that they said, “I read every word on your website where I read every word you had to say about whatever.” They actually do read this so either take time to write the content yourself or to work with a copy writer who’s going to interview you and learn what you’re trying to say and express, so you do sound a little bit different. And then same thing with the media on you site so pictures you want before and after cases of your work. Large high quality before and after cases not those tiny little thumbnails that you know were given here for free by the marketing company that people can’t really appreciate or understand what the heck happened or get no context of the procedure and those should have a kind of a personal story so that this young woman who was embarrassed about the gap in her teeth and you know someone made a comment and she decided she’s finally going to do something about it and we settled on veneers and this was the result after one visit. You should try to tell story and same thing with video. I think video can be done for a lot cheaper than people think. I’m fine with having a professional video for like one professional video for the intro to meet the doctor. A video, I think that’s actually a rather good idea for other video, especially patient testimonial videos. I’ rather have the clients go cheap and record them on a cellphone, especially the testimonials you want those, the purpose of that is authenticity and you want to reinforce that you know you’re trustworthy. And you’re going to do that you say, look at all these other people, that’s why you have testimonials who can back up what I’m saying. So, what you don’t know, in my opinion but you don’t want is this studio quality Barbara Walters filter on these people where there’s no mistakes. Everything is flawless, they had like four or five takes on this, they’re looking off camera somewhere, I want to see the person like, they just got out of dead, their hairs disheveled, their necklaces asked, you know, they mispronounced a word you know. They look very real and then meet the dentist and have the dentist record about each service. And I think event hose can be done on an iPhone these days if you can do it quietly and you have good lighting. I mean you can position the camera right, I think you can get away with that, at least many clients can get those things. You could ensure to look professional but in the beginning just start small. I don’t want to, you know, frighten dentists with these giant budgets and I’d rather have them fill in the gaps and then prove it rather than put it off for two years so they can get the video perfect for you know 10? 20? Or 30 thousand dollars. You can get great video shot for a premium price but do that later, just get the video out of the way and you learn things along the say so those three thing I tried to pick three of the top of my head what we love clients to do. Justin: So you get a unique copy, custom copy, custom photos and custom video or let’s what was that… what you did? Jeff: you know, if I wanted, since this is the last two were to combined, the third one I’ll say is make sure you have a system where you can update your site, you can easily update your site and your team members can contribute to that, so a lot of dentists re overwhelmed. They’re hearing what I’m saying like I have no time to do or have that. Great, have your hygienist a before and after cases. Have your front desk shoot the video testimonials and all that leaves you to do is some videos of you in front of a chair talking about each service you could bang that out in an hour if you wanted to be really quick about it and be one. But you can, i mean we have clients to give out Starbucks gift cards to their assistants in their front desk every time they remember to do these little tasks then they call us and we help the hygienist get into the website. Dentist is in his own hands free so involve your staff and make sure you have a system where they can contribute to the success of the website online. Justin: Excellent. Excellent. You know, I couldn’t agree more as someone who does SEO for dentists. The unique copy is huge. As far conversions go, you know, unique copy may not be as important but search engines are looking at you and they’re saying you know, is this the person just plagiarizing? I mean that’s the real word. That’s a fancy, fifty-dollar word for duplicate copy. Jeff: It’s usually not plagiarism. It’s like very rarely that the dentist plagiarize. It’s almost always you know, the company told them they’re going to custom content and they lied or the dentist did never asked and just got that. That’s what it is. Very rarely, as the actual plagiarism. Justin: Yeah. Yeah. So Google looks t it and they’re like well you know, these people are not thought leaders. They’re not contributing anything original and then that you know, I think that’s going for stock photos too. I mean, wow, people are really really unimpressed with stock photos. I got to tell you. By and large, I’m sure your data shows this too, stock photos are not anything impressive and then the same thing with stock videos. I mean those can be good for educating patients I think. I’m you know sphere education has some, some videos and all that but I’m sure you’d agree that you know, a dental, a great dental website is not about dentistry. It’s about the dentist. It’s about the team, it’s about the office and it’s about what makes you different and what makes you different oftentimes is who you are or your personality. Jeff: Yeah. I think the unique value proposition that we like to put it is you know, what’s the dentist philosophy, what kind of technology they have, what kind of materials they use and what kind of training do they have. So I mean, we have a couple like holistic dentist that will recommend you get those mercury amalgam pulled out, get the fluoride out of your water, get the people on the other side of the spectrum who played opposite feelings and but those are appealing to different parts of the marketplace, different kinds of patients and you know that you just have to decide what kind of patients you want to attract and to market yourself accordingly. And that’s what we want the dentist to do but they do have to think about it if you have to and we can work with them to do that and any good marketer do the rest what you do too. But they do have to kind of think about how they’re going to stand out and differ in what they’re going to say then you got to get all that video and text pictures’. Justin: Absolutely. Absolutely. Well you heard it here first in the dental marketing guy show. Jeff Gladnick with your top three tips. You got to have a unique copy. You got to have a unique photos and videos and if you’re doing that. And then also have been ably to update that website. That’s huge for SEO. Are you up to date? Are you able to keep up with Google’s looking t that and when they say, you know, who’s the best dentist? They don’t really know. What they know when they look at your website if you’re up to date, of you’re original, if you’re a thought leader, if you’re contributing to your community. That’s what they know, so, yeah, absolutely, it’s been a real honor to have you on Jeff and thank you. Justin: Yeah. I’m sure, I’ll see you on dental town and to those of you who might have questions in the comments below wherever you see this on Youtube, you know, on general town, wherever you might see that you’re on for us…what was that? Jeff: You got an automatic in there. Justin: We’ve got some viewers right now. I think this is the first episode, I’ve noticed some live viewers, you know, sometimes, we edit it before it goes to Youtube and we propagate it. But anyways, I guess, if we end up keeping having viewers then this might be the only live general marketing show. Jeff: How could you see your viewers? Justin: It’s in the bottom corner. Jeff: Okay. This is always hidden from me. Justin: Okay. Okay. You’ll have to trust me, you’re our live guest ever. Jeff: How many viewers did we get? Jeff: Is that my mom? Justin: It will get hundreds and hundreds of views after the release version so don’t worry. Justin: Alright. So if you have any questions reach out at greatdentalwebsites.com. That’s where you can find Jeff or he’s on dental town helping you out with all your questions keeping you up to date on what’s going on in the world of online marketing. I’m Justin the dental marketing guy. Thanks for watching the dental marketing guy show. Read more on the dental marketing guy blog! Copyrights © Dental Marketing Guy. All Rights Reserved.